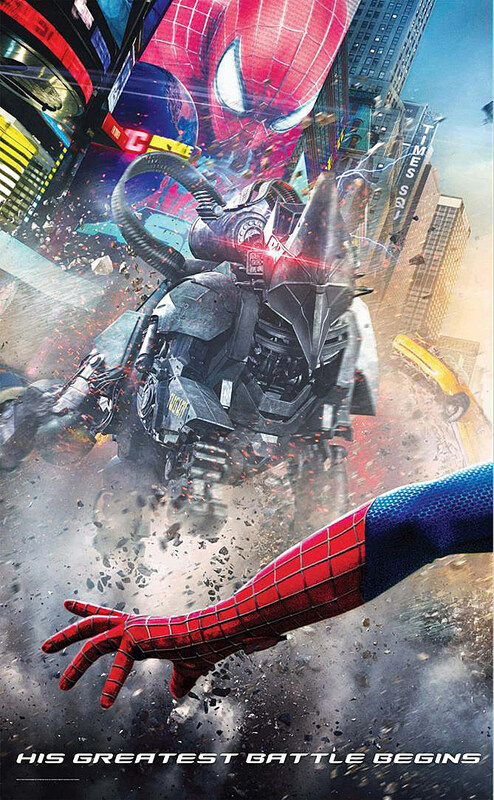 'Amazing Spider-Man 2' Poster: First Look at Rhino, Goblin! 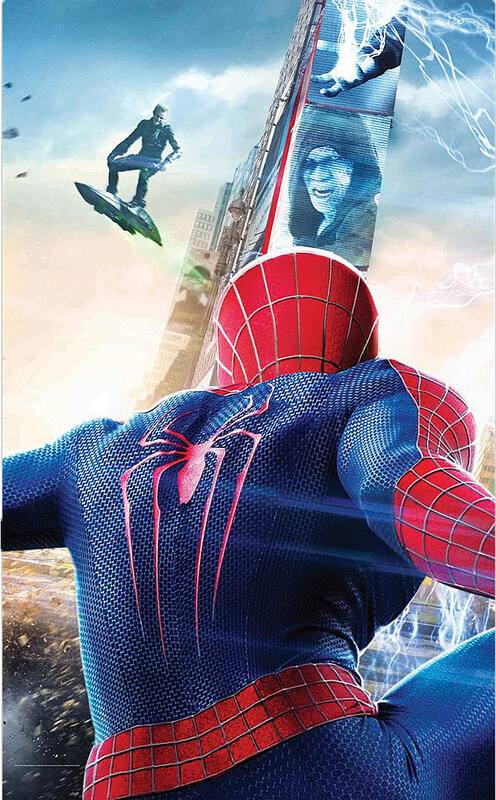 First Look at Rhino, Green Goblin on New ‘Amazing Spider-Man 2′ Poster! The 'Amazing Spider-Man 2' trailer will premiere online on December 5, but you don't have to wait until then to get your first ever glimpse of Rhino and Green Goblin from the upcoming sequel! 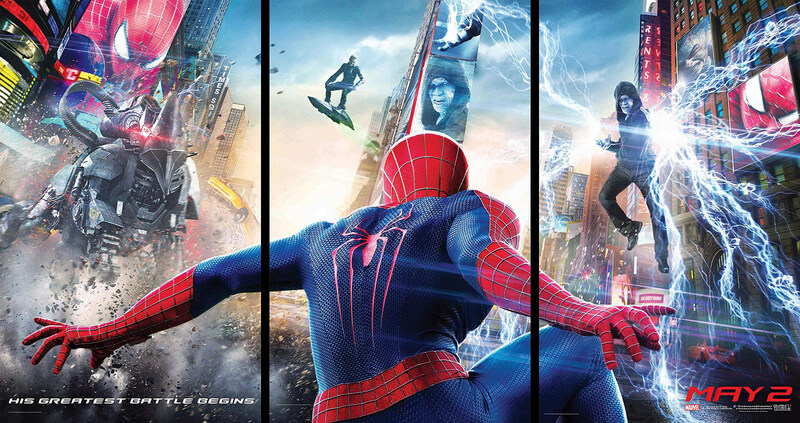 A Spider-Fan caught a glimpse of the new 'Amazing Spider-Man 2' poster in a Las Vegas movie theater that shows Spider-Man facing off against Rhino, Green Goblin and Electro. Spotted by Jeser Piedra in Las Vegas, this new 'Amazing Spider-Man 2' banner uses the tagline, "His Greatest Battle Begins," which certainly is a not-so-veiled hint to Spider-Man facing off against the Sinister Six. 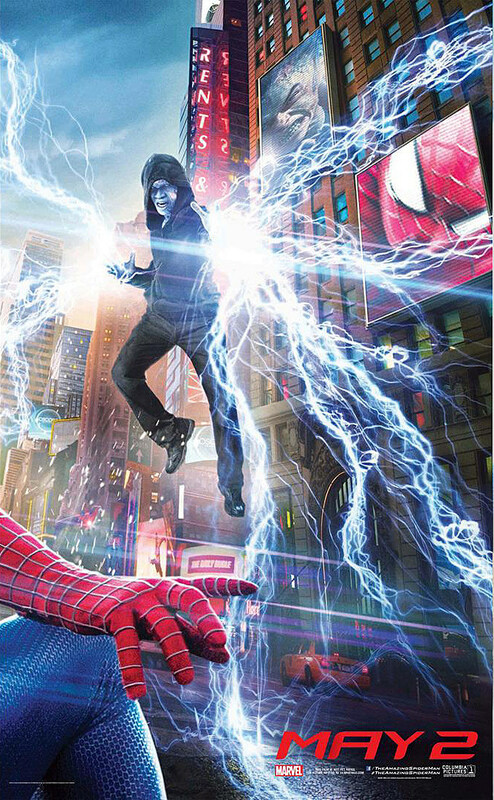 Considering that director Marc Webb has so frequently said that Electro is definitely the main villain of 'Amazing Spider-Man 2,' we're kinda surprised that the first poster for the film so prominently features two additional villains, but it's probably too much geekery to not include. The Rhino you see in the poster is not the traditional one you might remember from the old comics. This looks more like the Ultimate Rhino, which is actually an armored suit developed by the Army and codenamed R.H.I.N.O. The Green Goblin is most likely Harry Osborn, not Norman Osborn, at least based on the information we've learned from these leaked 'Amazing Spider-Man 2' storyboards. Take a look at the poster, as well as some zooms into the specific characters, below and let us know what you think. We'll update as soon as we get a high resolution version.